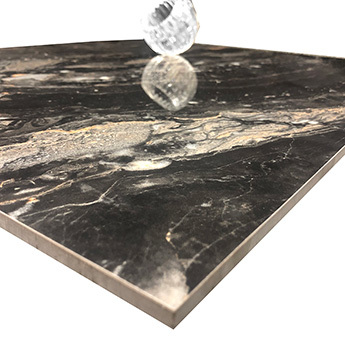 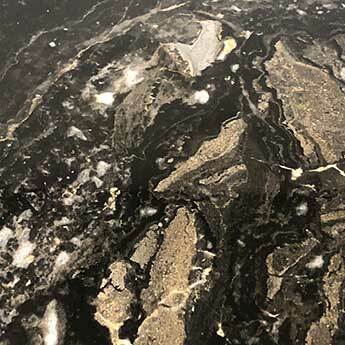 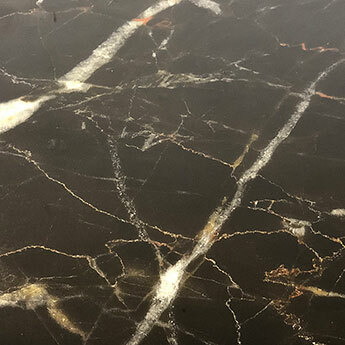 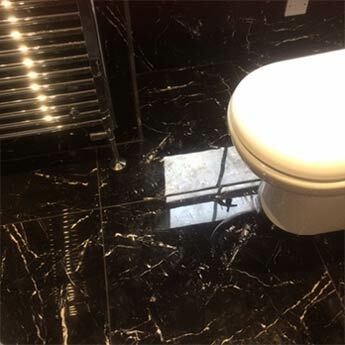 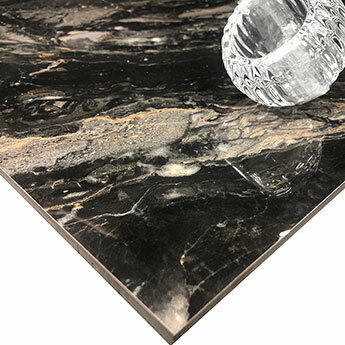 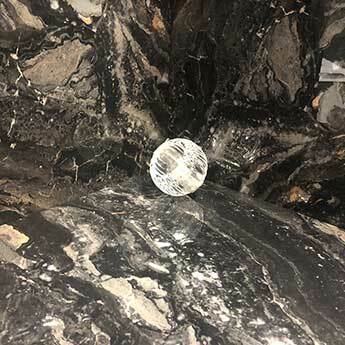 These tiles have a black colour which is interspersed by a grey, orange and brown stone effect formation, creating an emphatic marble style. 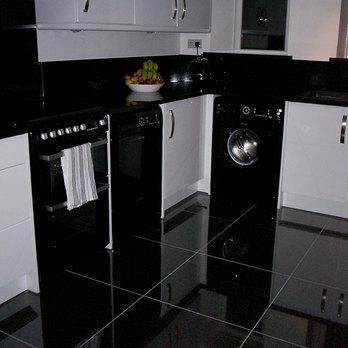 This unique look has been enhanced further by a highly polished finish. 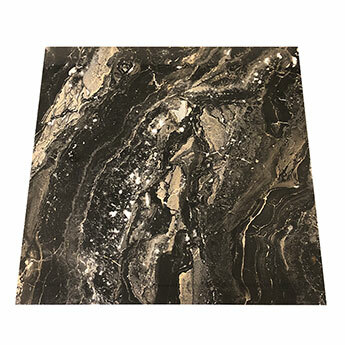 The standout appearance of these tiles makes them ideal for feature walls and they also produce a real design statement when applied throughout areas of flooring. 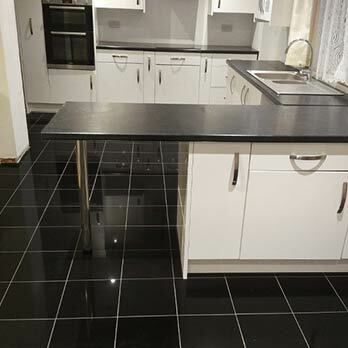 These tiles are perfect for providing interiors with a genuine wow factor. 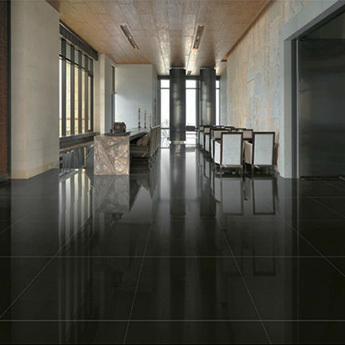 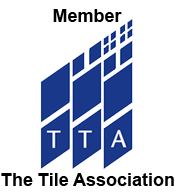 In addition to bathrooms and kitchens these tiles are also chosen for living and dining areas. 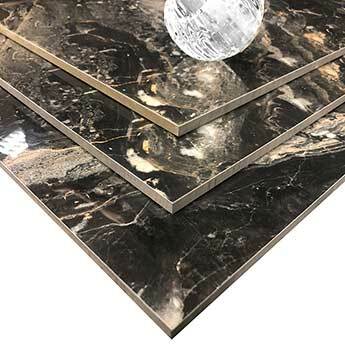 It is no surprise that these stylish and durable porcelain tiles are also selected for large hotel and shopping centre designs.